Disney Channel has ordered a third season of its “Boy Meets World” spinoff series “Girl Meets World,” TheWrap has learned exclusively. Production on Season 3 of the sequel to the ’90s hit sitcom — which also starred Ben Savage and Danielle Fishel as childhood sweethearts Cory and Topanga — will begin in January. The third season will premiere on Disney Channel in spring 2016. 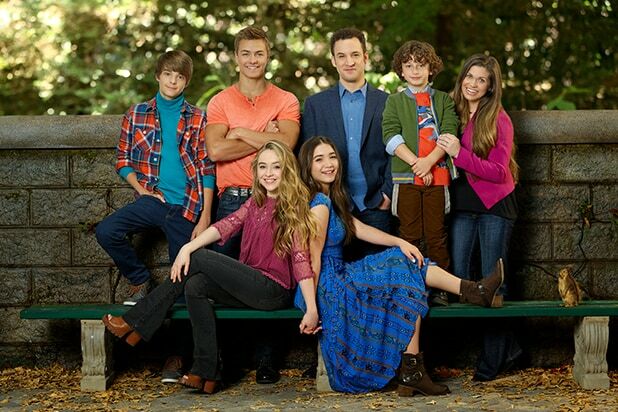 Season 2 will conclude the middle-school adventures of Cory and Topanga’s daughter, Riley Matthews, played by Rowan Blanchard, and her best friend Maya Hart, played by Sabrina Carpenter. The BFFs will enter the uncharted territory of high school in Season 3. The series also stars Peyton Meyer as Lucas Friar and Corey Fogelmanis as Farkle Minkus, Riley and Maya’s classmates, and August Maturo as the Matthews’ other kid, Auggie. The series is a production of It’s A Laugh Productions, Inc and Michael Jacobs Productions.